Get a chance to visit two of Cambodia’s largest towns. 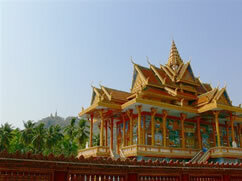 Battambang is a big city with various sites and sights. Visit the Killing cave to see the famous Phnom Sambo and the mini Angkor temple bonanza. 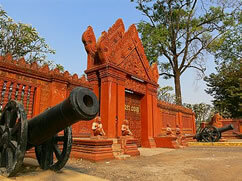 Tour the Battambang museum visit the hug dam built during the Pol Pot period. You can also visit temples at the Phnom Ya border.